AT THE NATIONAL MARCH FOR OUR LIVES IN WASHINGTON D.C.
BBYO and Hillel International are hosting a pre-March ‘meet-up’ at the Grand Hyatt near Metro Center in DC from 8:00 AM - 12:00 PM on Saturday, March 24th. For those that wish to join, the first large group departure to the March Route will be at 10:30 AM from the Grand Hyatt. We will be providing water, snacks, signage, and other March essentials for pick up, as well as a few optional Shacharit services throughout the morning. The Schusterman International Center, where BBYO and Hillel International are headquartered, will be open all day on Saturday, March 24th as a place to rest, grab a snack, recharge your phone, convene with friends, and connect with BBYO and Hillel staff. The March for Our Lives has posted a great list of FAQs to help you get ready for the National March. Check it out here. Let's rally ourselves and our peers to show up at Marches around the world. If you're joining us at the National March for Our Lives in Washington, D.C., there's information below. You can find a growing list of where AZA & BBG are participating in Marches here. Your presence makes a difference. Please note, BBYO International is not formally staffing home housing, transportation or other activities associated with the ‘March for Our Lives’. This means that BBYO will not be responsible for enforcing its code of conduct or providing security. Parents should be made aware of this as you make your plans. 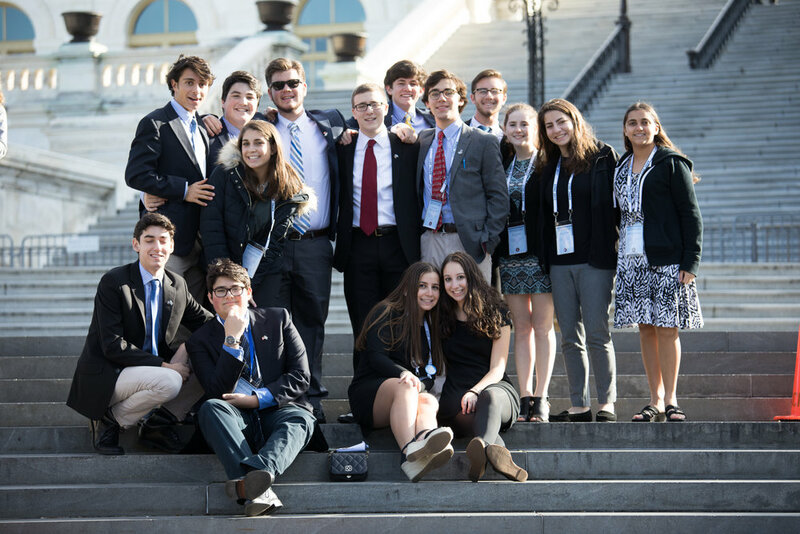 For all Jewish teens that are coming to the national ‘March for Our Lives’ on March 24, we are preparing a few moments that you can opt into throughout your visit to Washington, D.C. Many of you are already networking with BBYO families in the greater DC area to arrange housing. While we’re not formalizing this process, you can indicate your interest to house visiting teens or share that you are seeking hosting at this quick link. Local DC area leaders will work to make all the matches they can. We are coordinating a community-wide Shabbat experience on Friday, March 23 for all Jewish teens who are from the greater DC area, or who are coming into town for the March. Please plan to join us for the evening and bring your friends. We'll be in touch as we have more details.